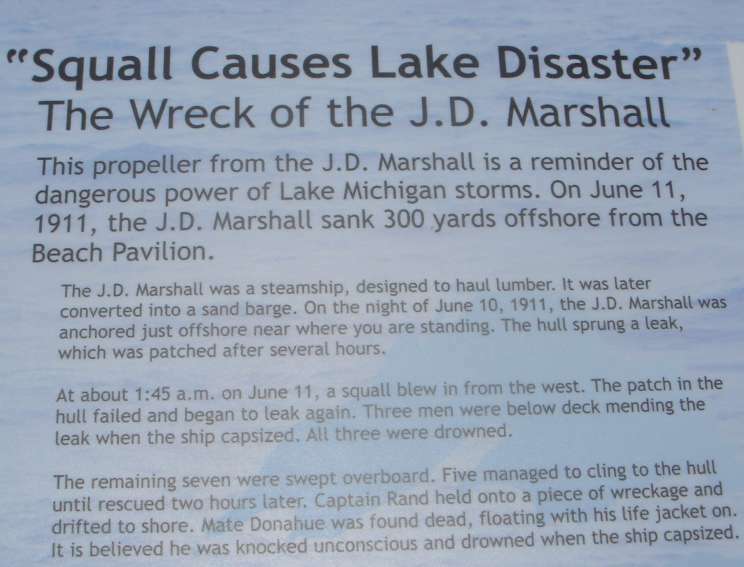 A small memorial to the steamer J. D. Marshall which sank on June 11, 1911 only a few hundred feet off shore. 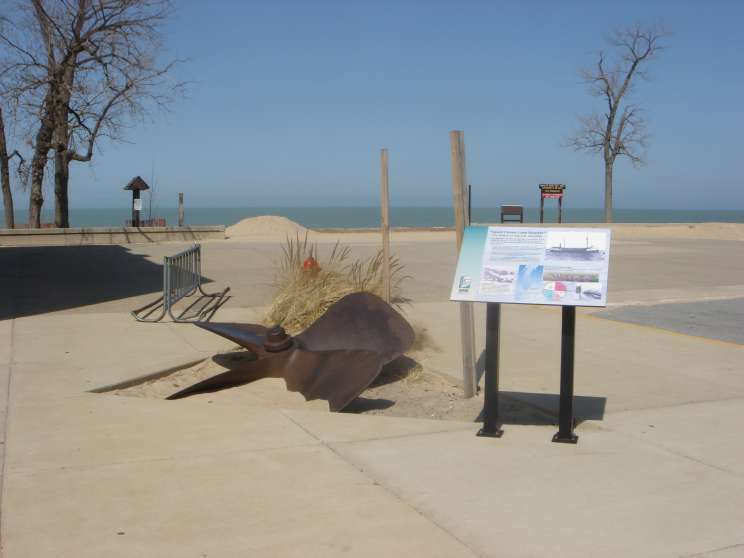 The memorial is located near the pavilion at the Indiana Dunes State Park in Chesterton, Indiana on the shore of Lake Michigan. 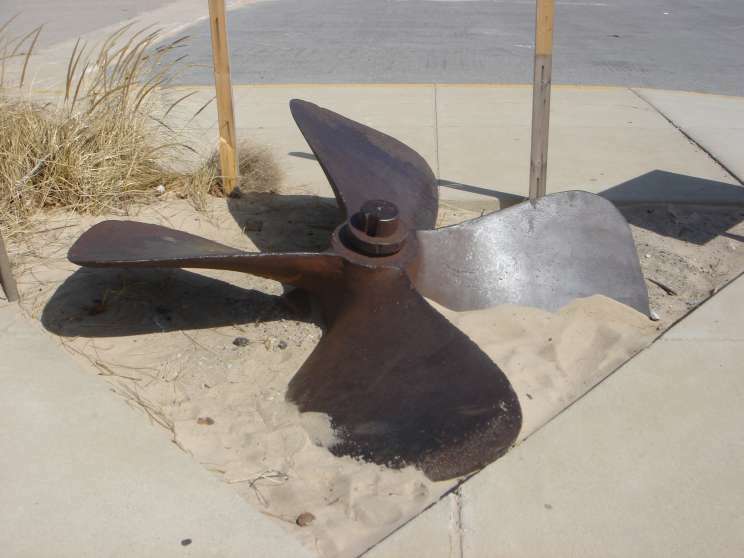 The propeller from the J. D. Marshall which was salvaged from the wreck which still remains where it sank. 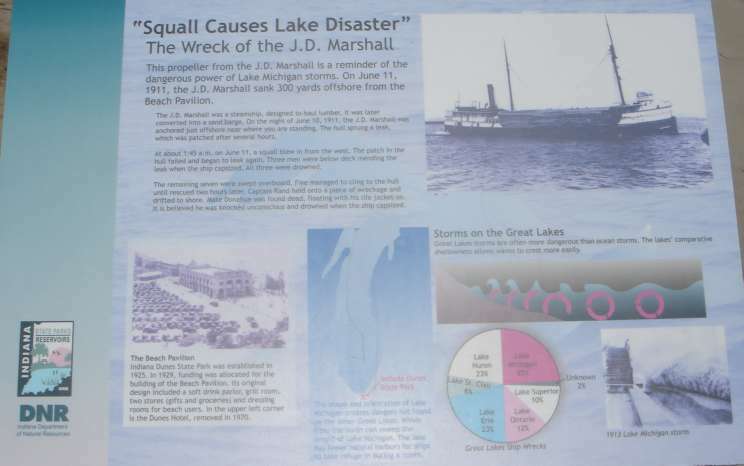 The story of the loss of J. D. Marshall on the information plaque.